Our Volunteer Babywearing Educators are accredited and insured through Babywearing Grand Rapids. All educators understand and can teach basic babywearing safety and have demonstrated knowledge of the major baby carrier types (wraps, ring slings/pouches, meh dais, and soft structured carriers) both through a written assessment and a skills assessment. Alicia Gavan grew up in Allegan, Michigan. She attended Allegan High School where she focused her attention on many different art mediums. Her abstract painting, “Surfacing” won an award in a juried art exhibit at the Kalamazoo Institute of Arts. She graduated in 2001. In 2005 Alicia and her childhood sweetheart Andrew, moved to Kentwood and took up residence on “Andrew” street. This is where Alicia began a career as an Event Coordinator for Applause Banquets and Catering. In 2007 Alicia changed careers when she had the opportunity to work in the field of photography, one of her many passions. Alicia had a successful career as a Professional Photographer and Assistant Manager for Lifetouch Portrait Studios. Alicia and Andrew got engaged in the summer of 2008. June 16, 2013 presented a wonderful Father’s Day present when they found out they were going to have a baby! During that same year in the month of October they bought their first home in the Alger Heights Neighborhood. Their daughter, Aurora Soleil was born February 25, 2014. Alicia and one month old Aurora attended their first meet up. They were introduced to a ring sling, found the babywearing love and the rest is history! ​Alicia is a work at home mom who continues her photography. She also makes infinity scarves for adults and children. Alicia loves being a mother. She enjoys nature, healthy living, camping, music, the arts, and is passionate about continuing her education in regards to pregnancy, natural childbirth and postpartum care. Alicia loves the benefits and closeness babywearing provides her and her daughters - Aurora and Reid. It was only natural for her to become an educator so all caregivers could experience the same benefits and closeness. Alicia Senzig-Fleser grew up in West Michigan. She was homeschooled and after graduating high school, went on to attend trade school to become a Medical Assistant. After graduating with honors in 2002, she started working in a busy Family Practice office, later transitioning into Internal Medicine with Behavioral Health. She accepted a position with Mercy Health Physician Partners OB/GYN office in November 2015, where she is able to focus on women's health. She especially enjoys connecting with women and helping them navigate through pregnancy and postpartum periods. Alicia and her husband Marty were an EHarmony success story - meeting in August 2010 and getting married October 2011. They had a delayed honeymoon in London, England in December of 2012, bought their first home on the NW side of Grand Rapids in March of 2013, and found out they were expecting their first child in August of 2013. Simon Tobias was born April 2, 2014 and they are expecting their second child in November 2016. Alicia's first experience babywearing was wearing her nephew in a narrow based carrier when she was 15 years old. She immediately fell in love with the closeness of babywearing and planned to wear her children in the future. When Simon was born, a wonderful friend brought a Boba stretchy wrap as a gift to her in the hospital. Alicia wore her son for the first time when he was about 1 week old and never looked back. She found BWI of Grand Rapids in September of 2014. She loves all the carrier styles for different reasons and different stages and loves the lending library for having all those options available. ​Anne Klute grew up in Niles, Michigan. She attended Western Michigan University, and went on to get her Masters degree in accounting at the University of Notre Dame. Five years later, she undertook a career change by enrolling in the culinary program at Ivy Tech. She used her pastry chef certification to work for a food truck, a catering company, and finally her own special order home bakery. Anne and her husband, Tim, got married in 2009. They lived in Indianapolis, Indiana for nine years, but moved back to Michigan, while they were expecting their first child, in 2015. Anne knew that she wanted to wear her son, even though she wasn’t entirely sure what that meant! She got a Moby stretchy wrap and an original Baby Bjorn at a consignment sale while she was pregnant. She struggled with these, until she was told about this group. She attended her first meeting when Jackson was two months old, and she never looked back! Aside from babywearing, Anne enjoys reading, attending hockey games, and spending time with her family at their lake cottage. Anne currently serves on the BWGR board of directors as the Director of Finance. Arika Harkema grew up in Grand Rapids, MI. She graduated from Northview High School and spent a year and half up at NMU before transferring to GVSU where she graduated with a degree in Integrated Science and Elementary education. She married her husband in 2012 after meeting him in Eagle River, WI couple years prior playing pond hockey in subzero temperatures. He is actually from Holland, MI and was there with mutual friends. Arika has played hockey her entire life (since she was 5) and still plays once in a while, although her time and desire to get hurt have lessened considerably since the birth of her children, Lydia (6/2013), Cassidy (4/2015) and Raelynn (10/2017). Arika ran an in home child care for almost 2 years until the birth of her second child when she became strictly a stay at home mom. Aside from babywearing and hockey, Arika enjoys camping, hiking, arts and crafts, sewing, teaching her kids, and rocks. Her family spent 6 months straight camping last summer after selling their home in Holland. They had an absolute blast! They have since settled in Allendale, MI. Arika registered for and received an Ergo for her first child and wore her starting around 3 months. While she was pregnant with #2, she discovered this magical group and began learning about the awesomeness that is babywearing beyond what she was already doing. She suffered instant regret about not having had this group when her first was born and couldn't wait to wear her new squish. She began wearing #2 about 5 days in and hasn't looked back. Starting with ring slings and ssc's and moving into wrapping, something she said she would never do, and the rest is history...down the rabbit hole she fell and she has landed as an educator. Excited and ready to spread the babywearing love. Becka Albright (Thomas) sprang from many homes as a military brat, first in Hahn, Germany where she was born, then from the state of Virginia, the Panama Canal ...Zone for most of her formative years, then from Florida's panhandle and now Grand Rapids, Michigan. She brings with her teaching a persistent care and consideration of diverse individuals and their specific needs. Her maternity belt notched with the births of 6 children from 4-17, Becka has been through nearly every imaginable experience as a Mom and would not hesitate to impart wisdom to all in need of it. Becka fell into babywearing with a narrow-based carrier with her eldest children. She found ring slings and others when her 3rd child was an infant. By the time the others came, she was wearing from birth using a variety of carriers. Becka spends her days as a nanny, throwing on fine baby wraps of every color, stripe, and form to hold little ones snugly, safely close. As a caregiver to many children as close as 4 months apart, she has years of experience with both tandem and solo wearing. Becka is passionate about keeping children safe in a secure space and assisting all to thrive throughout childhood. She hopes to be one that is entrusted to empower caregivers; to see that they are able to do whatever they feel they need to ease the struggles that caregivers experience. Beth Schrauben was born and raised in Grand Rapids, MI and is a proud product of the Alger Heights and Garfield Park Neighborhoods, as well as the Grand Rapids Public Schools. A graduate of City High School in 2002, Beth went on to various fields of study at Grand Rapids Community College, and later received licensing in the State of Michigan for Insurance Sales and Service as well as national accreditation for currency and mutual funds trading. Beth met her husband Gabriel (Gabe) for the first time in 2003, and after a chance second meeting in 2010 they began their relationship, marrying in October of 2013. She is currently a stay-at-home-mom to their daughter, Zoe, born in April of 2016. ​Once they became pregnant, they received a recommendation from a cousin to check out the Babywearing International Chapter in town. Beth attended her first meeting at about six months pregnant and found not only an amazing tool to help her family, but also a community of caregivers that work to enrich the lives of caregivers and children that she is pleased to call friends. 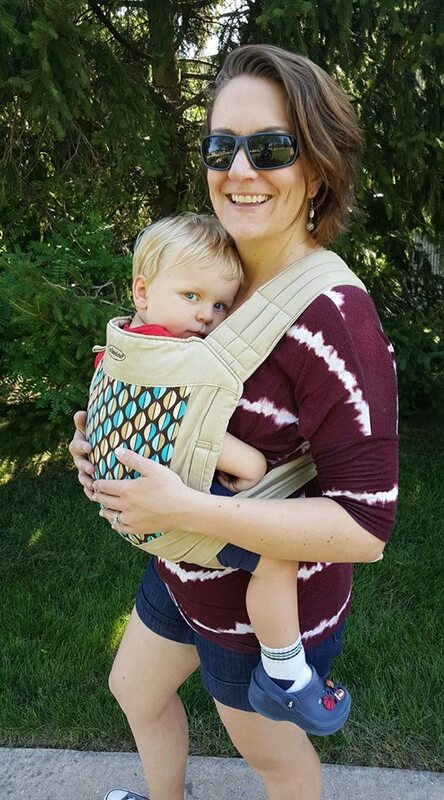 Her first carrier was a linen ring sling, a style of carrier that remains her first love, and she is passionate about educating and empowering caregivers to explore the benefits of babywearing and making the babywearing community a happier place for everyone. She is deeply committed to helping caregivers and their support systems find community and resources that give them the tools they need to succeed. Beth currently serves on the BWGR board of directors as the Director of Social Media. Janet Velting is a stay at home mom with a B.S. in Psychology from Grand Valley. Her and her husband, Eric, have three children, Nolan (2/2013), Brennan (1/2015) and Annelise (4/2017). Janet currently serves on the BWGR board of directors as the Director of Community Outreach. ​​Jessica Lidgey is a stay at home mom to 2 girls; Harper’s (2.5) and Paige (9 months) and wife to husband Jason. Jessica was born and spent her early childhood years in Tucson, Arizona where her father was stationed in the Air Force. They moved to Cleveland Ohio when she was 4 and lived there until her father was transferred to Grand Rapids for work in 2001. She finished her schooling at Caledonia high school and went in to take classes at GRCC and earn her degree in Human Resources management from GVSU while running a bread route business until she sold it in 2014. She met her husband Jason in 2013 when meeting mutual friends for a Michigan basketball game and they were engaged 8 months later. Their got married in October 2014 with hopes to start a family and happily found out they were expecting 6 months later. Jessica began wearing when pregnant with Harper by wrapping her belly and quickly fell in love with all carriers after she was born. Tula carriers are her favorite but she uses all carriers when the situation arises. When not chasing both girls around she enjoys baking, cooking, yoga and barre classes and being outdoors especially on the lake at her parents house at Canadian Lakes or at the beach. Kate Cole earned a B.S. in Psychology from GVSU. Shortly after graduating, she moved to France for a year, where she spent time traveling and learning French. Kate is currently in graduate school at GVSU working on her master’s degree in Occupational Therapy. She also works for Grand Valley as a graduate assistant. Kate and her husband, Dustin, have one son, Nolan, who was born in December of 2014. Her family includes two fur babies, a St. Bernard and an English Mastiff. Kate knew she wanted to wear her baby before he was born and discovered BWI while looking at carriers at Hopscotch. Kate started wearing Nolan in a Boba wrap when he was 3 days old. She attended her first meeting with him and learned how to use meh dais and SSC’s with a newborn. After attending a couple meetings, she discovered woven wraps, which are the main carriers she uses today. When Kate isn't doing homework or chasing Nolan, she enjoys cooking, spending time with family and friends, and reading. Kate Jesse was once an English major who did English major-type work, Kate now divides her time between being home with her two boys, wearing sad babies in the church nursery, running her crochet business, and occasionally participating in road races from 5K to marathon. Kate and her husband Jonathan, college sweethearts at Cornerstone University, got married in 2003. 2008 brought both their son Caleb and Kate’s introduction to babywearing when a friend gifted her a Moby wrap to use with the new baby. When their son Maddox arrived in 2015, wearing was practically a necessity. Kate was excited to find the local BWI group and began regularly attending meetings, learning something new every time. She is excited about helping new and experienced caregivers enjoy the comfort and closeness of safe babywearing. Right up there with the mystery of Amelia Earhart, no one knows how many wraps and carriers Kate actually owns. Kate currently serves on the BWGR board of directors as Secretary. Kathy Low is a Master Babywearing Educator (MBE). She enjoys sharing the babywearing spirit, working with parents and caregivers through chapter playdates, Babywearing 101 classes, and working individually with new local educators. As Director of Education and Board President Elect for Babywearing Grand Rapids, Kathy works to ensure that quality information is accessible to both educators and the general public. Kathy loves all types of carriers, but wouldn’t be caught without a wrap (or two!) on hand. In 2005, Kathy earned a BS in Elementary Education from Western Michigan University. She has three young children, Julia and Joshua, both of whom love a ride on mommy’s back and another sweet little girl named Kimberly, born in January of 2015. Kathy has enjoyed working from home since 2010, in the real estate industry and for Starbright Baby Toys. 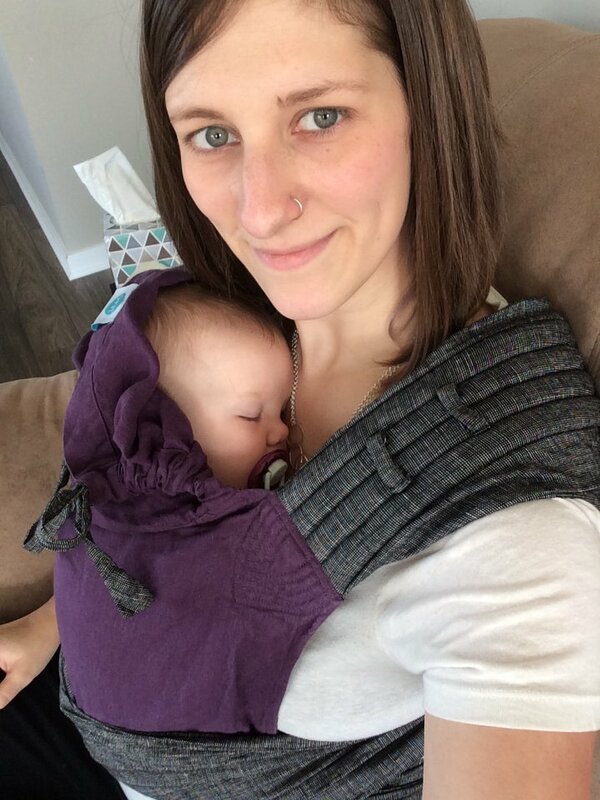 She most enjoys helping caregivers experience and learn about babywearing for the bond and benefits that it fosters. Kathy currently serves BWGR as Director of Education and Board President Elect. Lisa Delnay and her husband PJ grew up in Caledonia and met at a bible camp in their high school years. Soon after graduation they married and moved to LaGrange, Wyoming so PJ could attend school there. After a year they decided to return to Michigan where Lisa worked full time for her family’s graphic design business and PJ finished school. She learned the ropes of graphic design apprentice-style from her mother and broadened the company’s offerings with web design through self-study. Now Lisa is a work-at-home mom continuing with graphic and web design as well as chasing around her son, Zeke who was born in May of 2014. Lisa had an early introduction to babywearing, as her mother wore her as a baby while she ran her home business. Lisa was introduced to BWI by a friend while she was pregnant, and she starting wearing Zeke right after his birth in a DIY ring sling. When Zeke was about a month old she bought an Ergo and attended her first meeting, and it was love! Since then she has enjoyed making friends and learning about the huge variety of ways to wear your baby. She has come to love all the different types of carriers, and enjoys learning and trying new things! Aside from babywearing she also enjoys hiking, camping, crafting, and playing the piano and guitar. Sarah Nyhof grew up in Hartford, MI on a family farm. She attended Central Michigan University, and then went on to get her MBA through Western Michigan University’s Grand Rapids campus shortly after moving to GR. After working in the Supply Chain for 11 years, Sarah became a stay at home momma after her second child, Lenore was born (8/2016). Sarah and her husband, Eric, also have a son, Eli (7/2014). 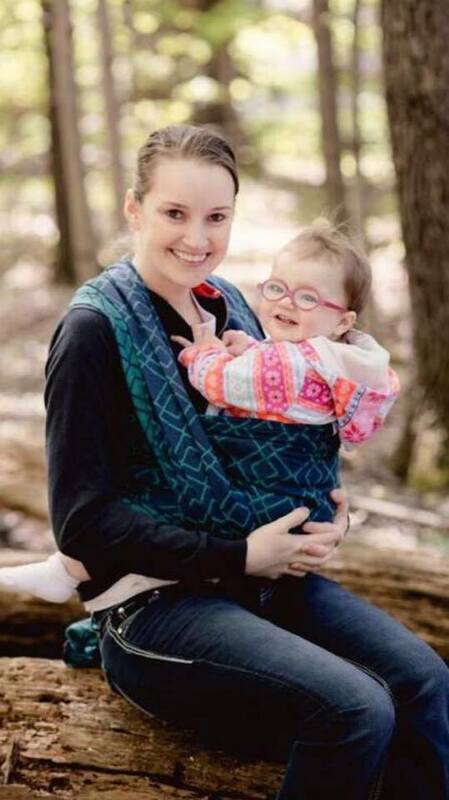 Sarah was introduced to babywearing from friends and family prior to the birth of her first child, however, once he was born another fabulous mom let her know about the local Babywearing group in Grand Rapids. This is when Sarah fell in love and became more confident in baby carriers of all kinds! Sarah currently serves on the BWGR board of directors as the Librarian. Tony Griffin is a father of 4 children - 2 girls and 2 boys - and a husband to his high school sweetheart Dawn. He grew up on Southwest Side of the Grand Rapids area and later moved to the Lowell area where he graduated from Lowell High School. He went on to attend culinary courses through the nationally acclaimed GRCC Culinary program and is currently the owner of 5 food service establishments throughout West Michigan. Tony began babywearing with his first daughter after his wife purchased an Ergo and was wearing religiously by the time his second was a year old. He joined BWI after attending a meeting looking for more wearing options with his third child and is now excited to watch and assist in the growth of more male caregivers to discover the parenting miracle that is babywearing. When not completely swamped with work and family, Tony finds enjoyment in blogging and speaking about his experiences as a caregiver and partner, especially when related to breastfeeding support and attachment parenting. He also enjoys both watching and playing in the greatest sport the world has had the pleasure of experiencing, hockey. Sarah Nyhof grew up in Hartford, MI on a family farm. She attended Central Michigan University, and then went on to get her MBA through Western Michigan University’s Grand Rapids campus shortly after moving to GR. After working in the Supply Chain for 11 years, Sarah became a stay at home momma after her second child, Lenore was born (8/2016). Sarah and her husband, Eric, also have a son, Eli (7/2014). Sarah was introduced to babywearing from friends and family prior to the birth of her first child, however, once he was born, another fabulous mom let her know about the local babywearing group in GR. This is when Sarah fell in love and became more confident in baby carriers of all kinds!